Operating any vehicle on the roads these days can be risky business, what with all the constant construction, traffic, and angry fellow drivers. But driving a motorcycle on these streets can be even riskier. 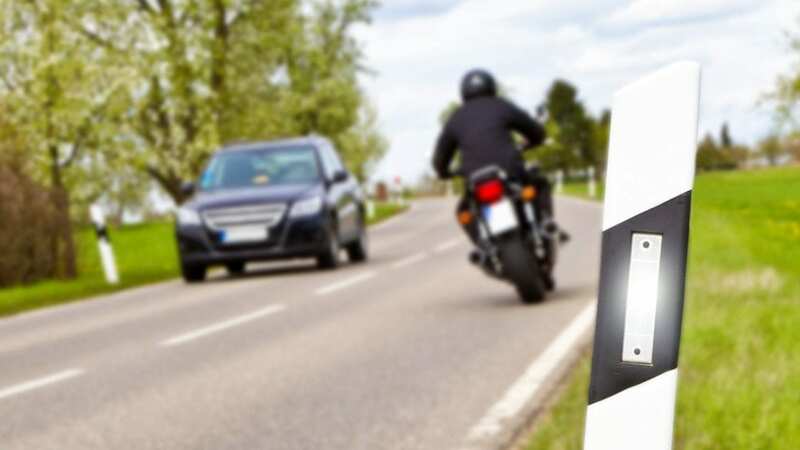 Let’s take a look at the most common causes of motorcycle accidents and how a motorcycle injury lawyer can help you if you’ve been injured in an accident. Left-hand turns cause frequent accidents between cars, and 42 percent of accidents involving a car and a motorcycle occur at left-hand turns. Generally, when one car hits another car while making a left-hand turn, the vehicle making the left-hand turn will be found at fault for the accident. These type of accidents most commonly happen when a vehicle is making a left-hand turn and another is going straight through that intersection, tries to pass the turning vehicle or tries to overtake the vehicle. These accidents occur between two cars as well as between a car and a motorcycle. While most left-turning vehicles are found at fault for the accident, the motorcyclist may be found to be at fault as well, such as if the motorcyclist was in the wrong lane or was speeding. Lane splitting is common among motorcyclists during traffic jams when motorcyclists can simply maneuver between the lanes of stopped vehicles. Because of how close the motorcycle is to the other vehicles, the decreased space available for the motorcycle and the fact that drivers don’t anticipate being passed in stopped traffic, lane splitting is the cause of many motorcycle accidents. Most motorcycle accident deaths—56 percent of them—involve a collision with another vehicle. And 78 percent of these accidents are head-on collisions where the car strikes the front of the motorcycle. Unfortunately, these collisions are almost always fatal for the motorcyclist. While crashes with fixed objects are responsible for 18 percent of car crash deaths, they are responsible for 25 percent of motorcyclist deaths. Additionally, road hazards like uneven lane heights, potholes, slick pavement and dead animals pose a much greater threat to motorcyclists than they do to other vehicle motorists. Motorcyclists are not surrounded by a metal box with airbags, so they are much more prone to being thrown and seriously injured in these types of accidents. Speeding and alcohol use is responsible for around half of the accidents that involve just one motorcycle. These are among the most common reasons for car accidents as well, but cars provide much more protection than motorcycles do. So as with other types of accidents involving motorcycles and other vehicles, motorcyclists are much more likely to experience serious injury or even death from their accidents. High-performance motorcycles like sport motorcycles and supersport motorcycles are not as common as other types of motorcycles that you see on the roads, yet they account for a proportionally high number of accidents. While drivers of more conventional motorcycles are usually over the age of 40, drivers of high-performance motorcycles are generally younger than the age of 30. The younger age of sport motorcycle drivers may suggest that the younger drivers are less cautious and take more risks on their sport motorcycles than older drivers do on their conventional motorcycles. If you’ve been injured in a motorcycle accident and believe that you are entitled to compensation, consult a motorcycle injury lawyer at McMahan Law Firm. Our experienced team of professionals are familiar with the laws and regulations surrounding vehicle collisions, and we’re here to help you better understand your legal situation. Contact one of our Chattanooga, TN motorcycle injury lawyers today by completing our online contact form.